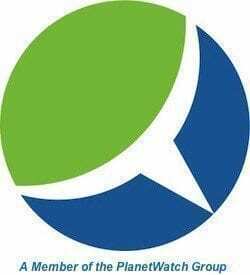 Compact, efficient, durable and long-lasting, social enterprises and non-governmental organizations (NGOs) are coming up with new ways that make off-grid solar lighting and power affordable for local residents in Africa and around the world. Lack of electricity has been holding back socioeconomic development and been a major factor contributing to the ongoing cycle of worldwide poverty. Nearly 7 in 10 (67 percent) of homes in Kenya, for instance, aren’t connected to a power grid. More widely available and more affordable and efficient than ever, solar power is not only improving the lives, and livelihoods, of residents in countries around the world, however. Local industrial and agricultural businesses are also turning to solar PV as a means of obtaining reliable, affordable, emissions-free electrical power to build their businesses. The first three of an anticipated 2,000 solar-powered hammer mills arrived in Zambia recently, SunEdison’s EnergyMatters reported September 7. Zambian President Edgar Lungu said the mills would help reduce the price of mielie-meal and create more than 3,000 local jobs. Mielie-meal is a very coarse corn flour that has become a staple foodstuff for Zambians and nearly all locals across sub-Saharan Africa. Able to be stored for long periods of time without refrigeration, it was first used by the South African-Dutch Voortrekkers during the Great Trek (1835-1846), a time when they migrated into the interior to try to establish a homeland independent of British rule. “Now with the solar energy milling machines we won’t spend so much like we used to spend on diesel, water and oil but with this energy from God, cooperatives will make money; we really thank the President,¨ North-Western Province Cooperative Movement Chairman, Simon Kyanguba was quoted as saying. 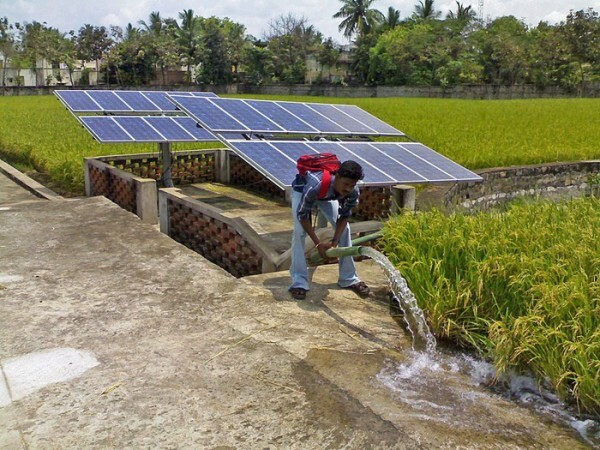 In southern India, an initial group of 100 farmers in Karnataka State will soon receive subsidized loans to have solar-powered irrigation pumps installed on their properties. Launched by the Kalaburagi and Yadgar District Central Cooperative Bank (KYDCCB), the solar irrigation pump loan program amounts to an ¨experiment¨ in social-agricultural development, according to a September 1 Indian Cooperative news brief. India’s National Agriculture and Rural Development Bank is subsidizing 40 percent of the loan amount. Farmers will then use the loan proceeds to purchase 5-HP solar pump-sets, which are said to be sufficient to meet the typical smallholder farmers’ irrigation needs. 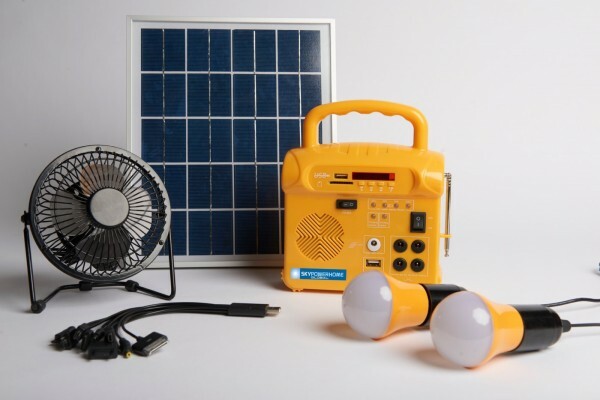 Back in Africa, Skypower’s 2-million free solar home power kit donation was announced at the Global Entrepreneurship Summit (GES), which took place this past July in Nairobi. During the Summit, SkyPower and the Kenyan government signed a landmark $2.2 billion agreement for the development of a massive 1 gigawatt (GW) solar power project. 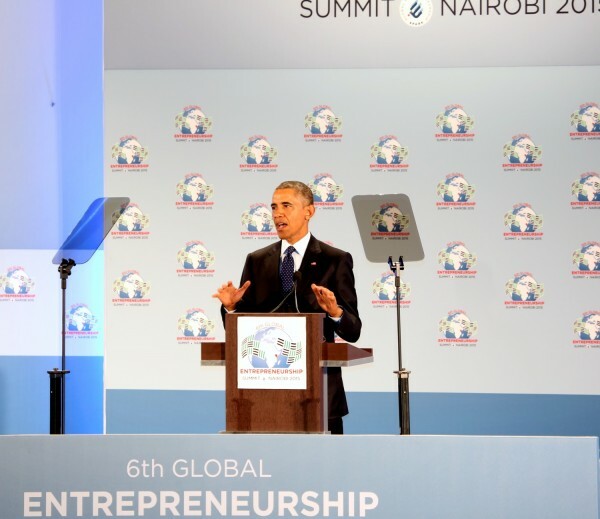 ¨We are joined today by inspiring entrepreneurs from more than 120 countries – and many from across Africa. And all of you embody a spirit that we need to take on some of the biggest challenges that we face in the world – the spirit of entrepreneurship, the idea that there are no limits to the human imagination; that ingenuity can overcome what is and create what needs to be. ¨And everywhere I go, across the United States and around the world, I hear from people, but especially young people, who are ready to start something of their own – to lift up people’s lives and shape their own destinies. And that’s entrepreneurship.